There is nothing worse than opening up your jewelry box and seeing that some of your fashion jewelry has chipped because it was rubbing together. It means that now you’re going to have to pay extra money to have it recoated. This may not have happened if you’d stored your jewelry correctly. Rhodium coated jewelry is one of the pieces that need special storing. It’s beautiful and leaves your jewelry absolutely dazzling but if you don’t take care of it, you’ll find yourself needing a new coating sooner than you anticipated. Here are a few tips for taking care of rhodium plated jewelry so you can wear it longer. While you may be afraid of cleaning any of your plated jewelry, you’ll have to give in eventually and do it or it will just look tarnished. If you’re cautious enough though, you should be fine. This means that you should never use basic jewelry cleaners on it because the harsh chemicals will ruin the plating. You should also avoid toothpaste or a toothbrush because it can be too abrasive. If you aren’t sure what’s safe to use on the jewelry then it’s a good idea to consult a professional on the matter. 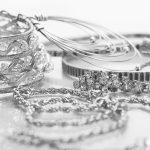 When it’s time for you to clean your jewelry there are a couple of basic things that you’ll need. This includes warm water because cold water won’t do a very good job at breaking down debris, a mild detergent that doesn’t contain any abrasive chemicals, a bowl for soaking and a bowl for rinsing, a soft towel, microfiber cloth, and tissue paper. You can also break out a polishing cloth if you want to give it a little extra shine. While it’s not a good idea to use a toothbrush, you can still use a different brush as long as the bristles are soft. Before you start soaking the jewelry you’ll need to take out one of your bowls and pour one cup of water in it. After that, you’ll measure out 1/3 cup of your detergent and add it to the water. Once you have the solution together, place the jewelry in it and allow it to soak for ten minutes. After the ten minutes is up run your fingers over the jewelry to gently clean it. If your jewelry has very fine ridges that you can’t get with your fingers, you can use a soft brush. Make sure you don’t leave it soaking in the detergent for more than 15 minutes. Even a detergent with mild ingredients can eventually become too much for the sensitive plating. When you’re sure that the jewelry is good and clean, place it in room temperature water to rinse it. You should make sure that all the soap is completely washed away or you will be left with unpleasant residue. Make sure that you don’t use tap water if you have hard water in your home. If you do, it will create unpleasant spots on your jewelry. You can get around this by using bottled or distilled water. Keep in mind that you may have to dump the water and refill the bowl a few times to completely wash away the detergent. Place the jewelry on a 100% cotton towel to dry. You can also carefully pat it dry but make sure you don’t rub it. The cloth you use to dry it should be very soft or specially made for rhodium. If you don’t feel safe drying it yourself, you can allow it to just sit on the towel overnight to dry. If you plan on wearing the jewelry out that night and don’t have time to let it sit overnight, then you can speed things along by using a hairdryer as long as it’s on its lowest setting. If you tend to store all of your jewelry in the same place then the other pieces in your box may scratch your rhodium plated ones. You can avoid this by wrapping each piece of rhodium jewelry in tissue paper before you place it back in the box. This will keep any of your jewelry from rubbing against each other and chipping or breaking. 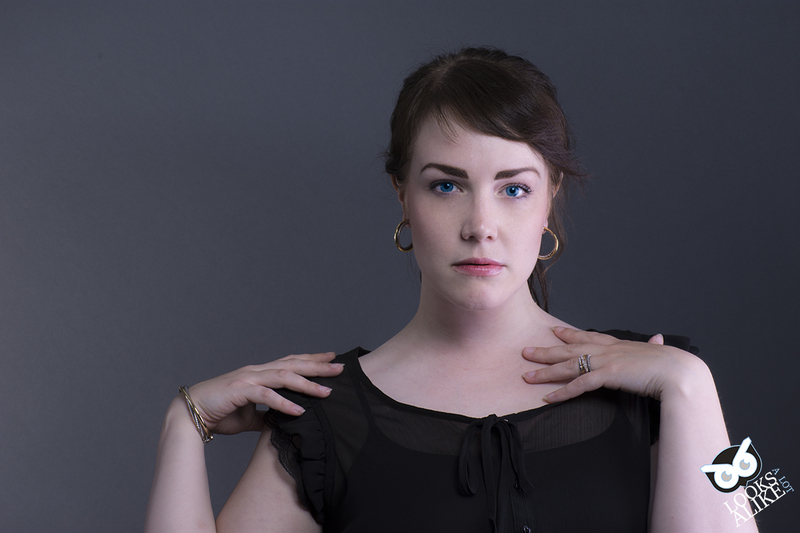 There are a couple of things that you want to remove your jewelry for especially if you’re wearing rings. For example, if you’re taking off old fingernail polish to put on a new coat. If you’re wearing your ring and some of the fingernail polish remover happens to splash on it your ring will get damaged. 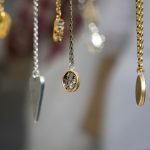 You should always remove your jewelry when you’re about to use household cleaners because most all of them contain chemicals that could damage the jewelry. You probably wouldn’t think of hand cream as being very abrasive but it does contain ingredients that could harm rhodium plating so you’ll want to remove your jewelry before rubbing some on. The same goes for if you’re planning to spray perfume on yourself before you go out. While rhodium plating can make your jewelry look gorgeous, it may wear down after a while. This is especially true if you don’t know how to care for it and use a strong chemical when cleaning it, or you store it where it can rub against other jewelry. 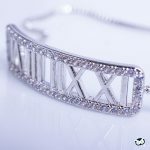 Use these tips for caring for rhodium plated jewelry to keep yours shining on for years to come. No outfit is complete without fashion jewelry. Check out our sets to see what we have that matches your wardrobe and budget.